Apply Now to Join the Teenreads Teen Board! Ah, summer! The sun is shining, the birds are chirping and HARRY POTTER AND THE SORCERER’S STONE turned 20 this week! That’s right, the book that made many of us lifetime readers and made children’s literature BIG news has been around for two whole decades. I can still remember the very first time I read the line “Mr. and Mrs. Dursley of number four, Privet Drive, were proud to say that they were perfectly normal, thank you very much.” I was actually a little late to discovering the series, so my grandmother bought me both HARRY POTTER AND THE SORCERER'S STONE and HARRY POTTER AND THE CHAMBER OF SECRETS at the same time --- and my life was never the same again. It’s amazing that so many Teenreaders are still discovering and loving these books for the first time all these years later. Now for some really big Teenreads news: The application to join our September 2017 - August 2018 Teen Board is officially open! The Teen Board is easily my favorite part of Teenreads: these 50 teens from all over the country read, review, blog and report on events for us each month. I learn so much from the books they select and the trends they share with me. If you're an avid reader between the ages of 13 and 18 with a passion for discussing great books, click here to apply by Monday, July 24th! Speaking of our Teen Board, last week Pranshu A. was able to attend her very first book launch for Cora Carmack's ROAR, which is reviewed in this newsletter. Pranshu had an amazing time and shared every detail about her experience for us on our blog. When you work in publishing, it can be hard to remember the butterflies you felt the first time you met an author, but Pranshu's blog brought it all back to me. My first YA book event was for Rainbow Rowell's CARRY ON, and I was absolutely amazed to see Rainbow IRL and hear more about her amazing characters (#snowbaz). I have hit the beach twice in the past two weeks, and let me tell you, there's nothing like a great book to read while you soak up the sun --- or, if you're me, cover every inch of your body with sunscreen or clothing, in order to prevent any and all rays from hitting a painfully white body --- but I digress. During my two beach adventures, I read (and loved) THE ONE MEMORY OF FLORA BANKS by Emily Barr, a creepy and mysterious May release that I wasn't able to read because of all the BookExpo/BookCon prep; PERFECT TEN by L. Philips, an amazing summer rom-com with plenty of diverse characters to go around (and arguably one of the best covers ever, #unicorn); and WARCROSS, the newest book from the legendary Marie Lu, which will be releasing this fall. 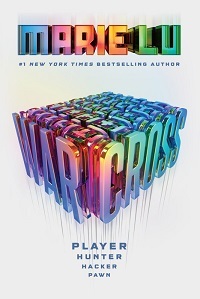 WARCROSS was one of the most hype-worthy books at BookCon this year, so I've been itching to finish it ever since I left the convention center. No spoilers, but WOW, it does not disappoint. I may be jumping the gun here, but I think this is Marie's best book yet. It will be in stores on September 19th. 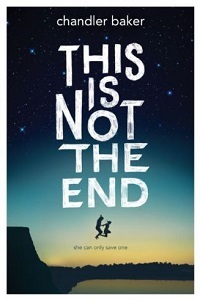 I also sped through THIS IS NOT THE END by Chandler Baker, which is releasing this August. 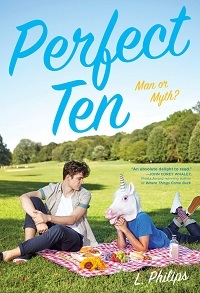 This book is set in a world just like ours, except for one major difference: every teen has the power to resurrect one person on their 18th birthday. For years, Lake has known exactly who she will choose, with a promise to her family keeping her from changing her mind. Shortly before her 18th birthday, however, her best friend and boyfriend are killed in a car crash and Lake must decide who she will resurrect. 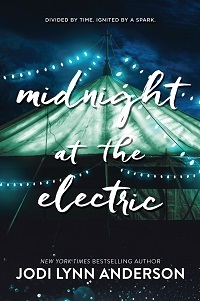 As each family --- including her own --- begs for her choice, Lake discovers that her best friend and boyfriend each had secrets of their own, including some powerful opinions about resurrection. We will definitely be talking about this book more in August, but it is already one of my favorite releases of 2017, so I want it on your radar now. If you're in need of your own summer reads, don't forget that there is still time to enter our Beach Bag of Books Contest, where we're giving away seven amazing titles that we think you'll love. From now until Monday, August 7th at noon ET, you have the chance to win one of five prize packages containing each of our featured titles, which include THE EPIC CRUSH OF GENIE LO by F. C. Yee, FIREBRAND by A.J. Hartley and VANGUARD by Ann Aguirre. Last, but certainly not least, don't forget to check out our monthly Teen Board question, where we asked our teens to come up with their own summer reading lists. Then go cast your vote in our June poll, where we're asking about your favorite genres to read during summer vacay. Apply NOW to Join Our Teen Board! Do you love reading and talking about books? We are looking for 50 teens between the ages of 13 and 18 years old who are passionate about books --- and committed to contributing to Teenreads.com --- to be a part of our September 2017 - August 2018 Teen Board! Teen Board members write reviews, compose blog posts, answer the monthly Teen Board question, participate in special features and provide us with much-needed feedback. Because we are looking for teens who can actively participate on the Teen Board, it is critical that you ensure that you have enough time to focus and give us a year-long commitment. In addition to offering you a Contributor profile on the site, you can reference your board position with us on your college applications and personal resumes. Applications are due by 9:00 AM EST on Monday, July 24th to apply to be on the Teen Board from September 2017 until August 2018. We will review the applications by Monday, July 31st and begin the second part of the application process. For that portion, we will request a sample review and a recommendation from a teacher, a parent or someone else who knows you well. Note: If you are selected, you will be required to turn in a consent form completed by a parent or guardian if you are under 18. Click here to apply to be on our Teen Board! AW Teen Summer Reading Challenge! Join the AW Teen Summer Reading Challenge to win FREE books and other prizes! Read any AW Teen title (click here for a full list) and review it anywhere (your blog, Instagram, YouTube --- wherever!). Reviews from September 1, 2016 to August 31, 2017 will be accepted. Yep, even older reviews! You will receive one entry for every AW YA book you submit a review for. You can receive extra entries for sharing your review on sites like Amazon, Barnes and Noble, Netgalley, Goodreads, and Edelweiss. 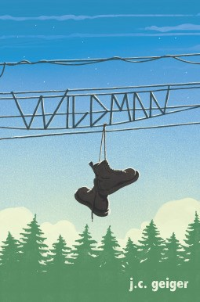 And if you follow AW on their Albert Whitman or AW Teen Facebook, Twitter, Instagram, Pinterest, or YouTube, you can get even more extra entries! One lucky participant will win the GRAND prize: A beach basket full of 10 AW Teen titles and summer reading goodies including lip balm, nail polish, perfume, water bottle, beach towel, sunhat and more! Four participants will win the book pack of the same 10 titles! Reviews are accepted until August 31, 2017, and winners will be randomly selected on September 1, 2017. Submit the link to your review here. Happy Summer Reading! Blog: The Austin Launch of Cora Carmack's ROAR --- Guest Post by Teen Board Member Pranshu A. Reading Clean Teen Fiction --- Guest Post by Teen Board Member Rachel A.
Teenreads at BookCon 2017 --- See what Teen Board Members Taylor F., Brynn S. and Danielle F. thought of this year's BookCon. Audiobook available, narrated by Jorjeana Marie, Bailey Carr and Fiona Hardingham. Jodi Lynn Anderson's epic tale --- told through three unforgettable points of view --- is a masterful exploration of how love, determination and hope can change a person's fate. While their stories span thousands of miles and multiple generations, Lenore, Catherine and Adri’s fates are entwined in ways both heartbreaking and hopeful. Reviewed by Sabina Z., Teen Board Member. After a shout-out from a superstar vlogger, Natasha "Tash" Zelenka suddenly finds herself and her amateur web series, Unhappy Families, thrust in the limelight: She's gone viral. 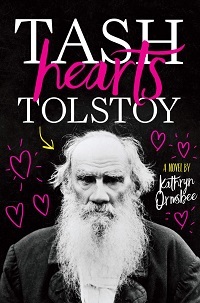 Her show is a modern adaption of ANNA KARENINA --- written by Tash's literary love Count Lev Nikolayevich "Leo" Tolstoy. Tash is a fan of the new subscribers and their gushing tweets, but not so much the pressure to deliver the best web series ever. When Unhappy Families is nominated for a Golden Tuba award, Tash wants to enjoy her newfound fame, but will she lose her friends in her rise to the top? What would Tolstoy do? Reviewed by Sheridan N., Teen Board Member. Grace wants out. Out of her house, where her stepfather wields fear like a weapon and her mother makes her scrub imaginary dirt off the floors. Out of her California town, too small to contain her big city dreams. Out of her life, and into the role of Parisian artist, New York director --- anything but scared and alone. Enter Gavin: charming, talented, adored. Controlling. Dangerous. When Grace and Gavin fall in love, Grace is sure it's too good to be true. She has no idea their relationship will become a prison she's unable to escape. Reviewed by Brynn S., Teen Board Member. It's 1999 in Bolivia and Francisco's life consists of school, soccer, and trying to find space for himself in his family's cramped yet boisterous home. But when his father is arrested on false charges and sent to prison by a corrupt system that targets the uneducated, the poor, and the indigenous majority, Francisco and his sister must move into prison with their father. With their lives upended, Francisco faces an impossible decision: Break up the family and take his sister to their grandparents in the Andean highlands, fleeing the city and the future within his grasp, or remain together in the increasingly dangerous prison. Reviewed by Caitlyn K., Teen Board Member. Internet sensation Madison Nakama has it all! Her pop-culture rewatch site has a massive following, and fans across the world wait on her every post and tweet. And now Laurent, a fellow geek (and unfairly HOT French exchange student! ), has started flirting with her in the comments section of her blog. But Laurent’s not the only one watching for Madi’s replies… Internet fame has a price, and their online romance sparks the unwanted attention of a troll. When Madi’s “real life” hits a rough patch, she feels her whole world crumbling. With Laurent’s support, can Madi rally her friends across the globe to beat the troll, or will he succeed in driving her away from everything --- and everyone --- she loves? Reviewed by Brynn S., Teen Board Member. Audiobook available, narrated by Soneela Nankani. Aurora Pavan comes from one of the oldest Stormling families. Long ago, the ungifted pledged fealty and service to her family in exchange for safe haven. As the sole heir of Pavan, Aurora's been groomed to be the perfect queen. But she’s yet to show any trace of the magic she’ll need to protect her people. To keep her secret and save her crown, Aurora’s mother arranges for her to marry a Stormling prince from another kingdom. But then she stumbles upon a black market dealing in the very thing she lacks --- storm magic. When a handsome young storm hunter reveals he was born without magic, but possesses it now, Aurora realizes there’s a third option. She might not have magic now, but she can steal it if she’s brave enough. Reviewed by Makayla H., Teen Board Member. Audiobook available, narrated by Rosie Jones. Nicu has emigrated from Romania and is struggling to find his place in his new home. Meanwhile, Jess's home life is overshadowed by violence. When Nicu and Jess meet, what starts out as friendship slowly blossoms into romance as the two bond over their painful pasts and their hope and dreams of a better future. But will they be able to save each other, let alone themselves? This illuminating story told in dual points of view through vibrant verse will stay with readers long after they've finished. Reviewed by Rebecca D., Teen Board Member. Audiobook available, narrated by Ariana Delawari. Janna Yusuf suddenly finds herself caring what people think. Or at least what a certain boy named Jeremy thinks. Not that she would ever date him --- Muslim girls don’t date. Or they shouldn’t date. Or won’t? Janna is still working all this out. 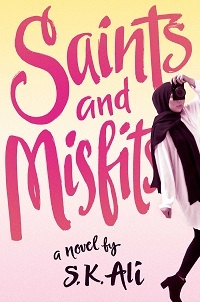 She is trying to decide what kind of person she wants to be, and what it means to be a saint, a misfit, or a monster. Except she knows a monster…one who happens to be parading around as a saint…Will she be the one to call him out on it? What will people in her tight-knit Muslim community think of her then? Reviewed by Mikenzie R., Teen Board Member. Audiobook available, narrated by Sneha Mathan and Vikas Adam. Dimple Shah has it all figured out. With graduation behind her, she’s more than ready for a break from her family, from Mamma’s inexplicable obsession with her finding the “Ideal Indian Husband.” Ugh. Dimple knows they must respect her principles on some level, though. If they truly believed she needed a husband right now, they wouldn’t have paid for her to attend a summer program for aspiring web developers…right? Reviewed by Rachel R., Teen Board Member. 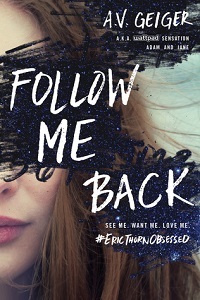 Confined to her bedroom with agoraphobia, Tessa Hart's one escape is the online fandom for pop sensation Eric Thorn. Eric Thorn is frightened by his obsessive fans. When a fellow pop star is murdered at the hands of a fan, Eric knows he has to do something to shatter his online image fast. But Eric's plan to troll @TessaHeartsEric unexpectedly evolves into an online relationship deeper than either could have imagined. And when the two arrange to meet IRL, what should have made for the world's best episode of Catfish takes a deadly turn... Reviewed by Makayla H., Teen Board Member. Audiobook available, narrated by Dana Dae. Tucked away, deep in the woods, Brunesfield Correctional Facility's cold walls and empty hallways keep dangerous girls away from the world --- girls like Angela Davis, whose fate was determined by one bad decision. After a few years in juvie, Angela is finally close to her release, but everything changes the day a new warden with dark plans takes over. Angela knows evil when she sees it, and as strange disappearances and frightening incidents happen more and more frequently, it becomes clear that Brunesfield could be the end of them. Angela and her friends must find a way to get out, but how can they save themselves from very place keeping them locked away? Reviewed by Maggie L., Teen Board Member. Audiobook available, narrated by Andrew Eiden and Laura Heisler. It’s 1948, and World War II has just ended. Berlin is in pieces, torn apart by bullets, bombs and bloodshed. But a particular scientist has survived --- one with vital knowledge of an ancient weapon. When Endgame spies learn of the news, Boone, a Cahokian, and Ariadne, a Minoan, are each sent undercover to find the scientist amid the snowy rubble. But when their paths intertwine, the last thing they expect is to let their guards down and work together. Reviewed by Jeremy H., Teen Board Member. Meet Andrea Marr: straight-A high school student, thrift-store addict and princess of the downtown music scene. In the midst of the '90s, where the music scene was experiencing the deep impact of the grunge movement, Andrea’s passion for music merges together with first love to lead her down a unique yet universally relatable coming-of-age road. Reviewed by Alyssa Cami. Audiobook available, narrated by Tara Sands. 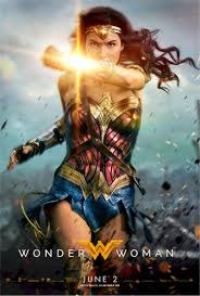 What is a hero? Paige Nolan knows. Edward Raynes, the young man who exposed America’s unconstitutional spying techniques, is a hero. Or Paige's parents, journalists who were captured by terrorists while telling stories of the endangered and oppressed. Paige is approached by Madden Carter, an undercover operative who gives her a mission --- fly to Russia, find Raynes and discover what other government secrets he’s stockpiled. In exchange, he’ll reopen the case on her missing parents. Reviewed by Pranshu A., Teen Board Member. Audiobook available, narrated by Michael Crouch. Aspen Quick has never really worried about how he's affecting people when he steals from them. But this summer he'll discover just how strong the Quick family magic is --- and how far they'll go to keep their secrets safe. With a smart, arrogant protagonist, a sinister family tradition, and an ending you won't see coming, this is a fast-paced, twisty story about power, addiction, and deciding what kind of person you want to be, in a family that has the ability to control everything you are. Reviewed by Wren L., Teen Board Member. 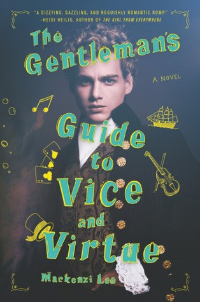 Edward “Teach” Drummond is setting sail to the Caribbean as first mate on the most celebrated merchant ship in the British fleet --- until he rebels against his captain. Mutiny is a capital offense, but he believes it worth the risk in order to save his crew from the attacking Spanish ships. Anne barely avoids the Spanish attack, making it safely to Nassau. But lawless criminals, corrupt politics and dangerous intentions fill the crowded streets of this Caribbean port. Life and death hang in the balance when Teach and Anne are given a dangerous mission. Audiobook available, narrated by Andi Arndt. After getting her heart shattered for the thousandth time, multiplatinum pop icon Lily Ross is escaping her high-profile, crazy life and heading to the beach with her best friends. She has three months to focus on herself, her music, her new album --- anything but guys. 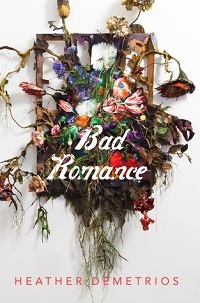 That is...until Lily meets sweet and charming Noel Bradley, who is so different from anyone she’s ever dated. Suddenly Lily’s “summer of me” takes an unexpected turn, and she finds herself falling deeper and harder than ever before. But even though Lily loves Noel, she loves her music and her fans, too. And come August when it’s time to leave Maine and go back out on tour, she will be forced to choose between them. 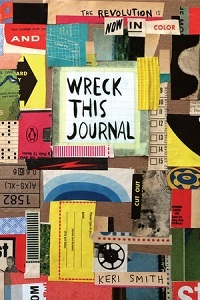 Reviewed by Juliette G., Teen Board Member. Audiobook available, narrated by Tim Pocock and Candice Moll. Michael likes to hang out with his friends and play with the latest graphic design software. His parents drag him to rallies held by their anti-immigrant group, which rails against the tide of refugees flooding the country. And it all makes sense to Michael. 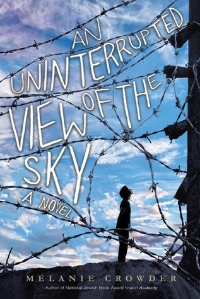 Until Mina, a beautiful girl from the other side of the protest lines, shows up at his school, and turns out to be funny, smart --- and a Muslim refugee from Afghanistan. Suddenly, his parents' politics seem much more complicated. Mina has had a long and dangerous journey fleeing her besieged home in Afghanistan, and now faces a frigid reception at her new prep school, where she is on scholarship. As tensions rise, lines are drawn. Michael has to decide where he stands. Mina has to protect herself and her family. Both have to choose what they want their world to look like. Reviewed by Rebecca D., Teen Board Member. Suddenly internet-famous, Sadie's summer changes for the better when she's introduced to other "hometown heroes." 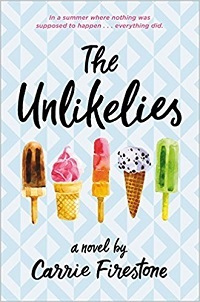 These five very different teens form an unlikely alliance to secretly right local wrongs, but when they try to help a heroin-using friend, they get in over their heads and discover that there might be truth in the saying "no good deed goes unpunished." Can Sadie and her new friends make it through the summer with their friendships --- and anonymity --- intact? Reviewed by Rachel R., Teen Board Member. Anna lives in 1995 Chicago and Bennett lives in 2012 San Francisco. 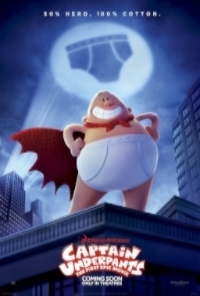 But Bennett has the unique ability to travel through time and space, which he normally uses to see epic concerts from his favorite vintage bands. After an unexpected complication forces him to remain in 1995 for longer than usual, he has to enroll at the local high school. And that's when he meets Anna. As the pair grows closer, Anna is shocked to learn Bennett's secret, but his ability means they can experience times and places she never dreamed of seeing. That is, until a devastating crisis throws everything they believe into question, and Bennett begins to experience the terrifying side effects of his travels. Together, they face the impossible task of weaving together two futures that were never meant to intersect. Reviewed by Danielle F., Teen Board Member. Audiobook available, narrated by Roger Yeh. Jason Zhou survives in a divided society where the elite use their wealth to buy longer lives. The rich wear special suits, protecting them from the pollution and viruses that plague the city, while those without suffer illness and early deaths. Frustrated by his city’s corruption and still grieving the loss of his mother who died as a result of it, Zhou is determined to change things, no matter the cost. Yet the deeper Zhou delves into this new world of excess and wealth, the more muddled his plans become. Can Zhou save his city without compromising who he is, or destroying his own heart? Reviewed by Wren L., Teen Board Member.